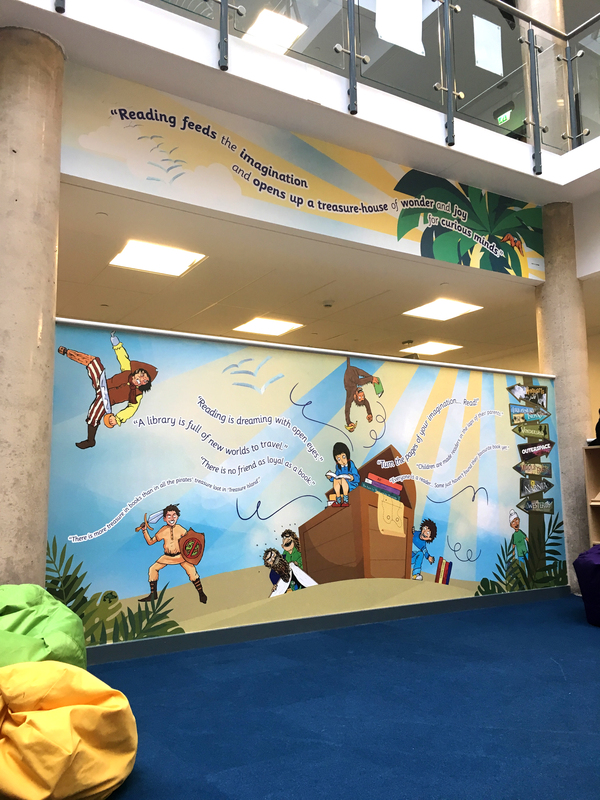 The brief: To transform the Key Stage 2’s school library and create a backdrop for the partition wall. 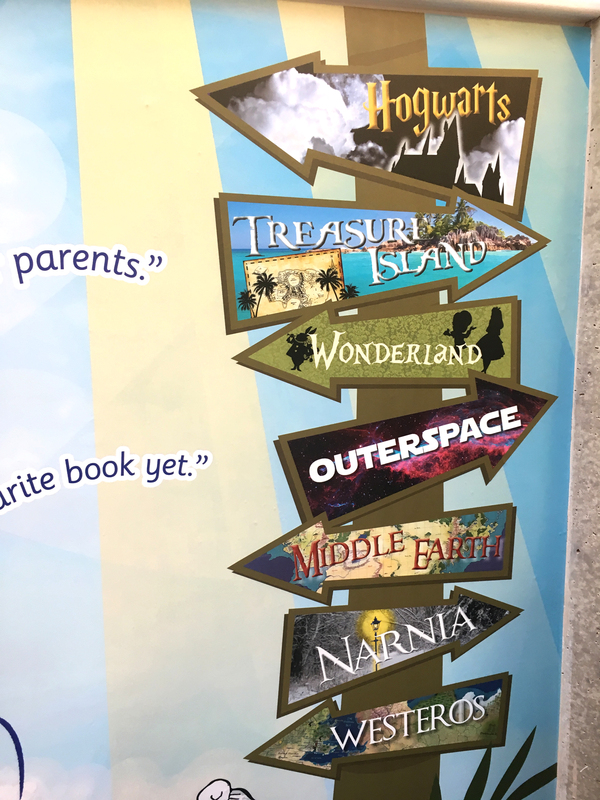 The process: Two Thirds Design were invited to Penn Fields Special School to brainstorm ideas for their school library. 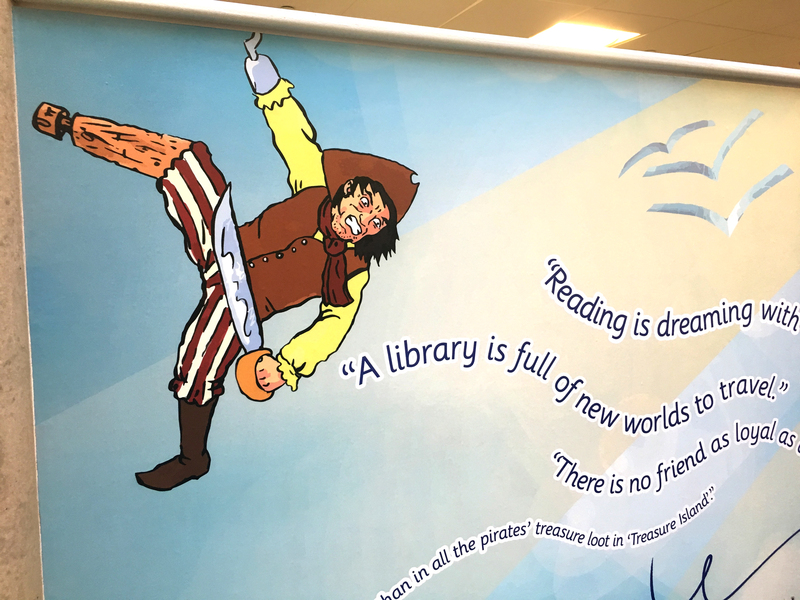 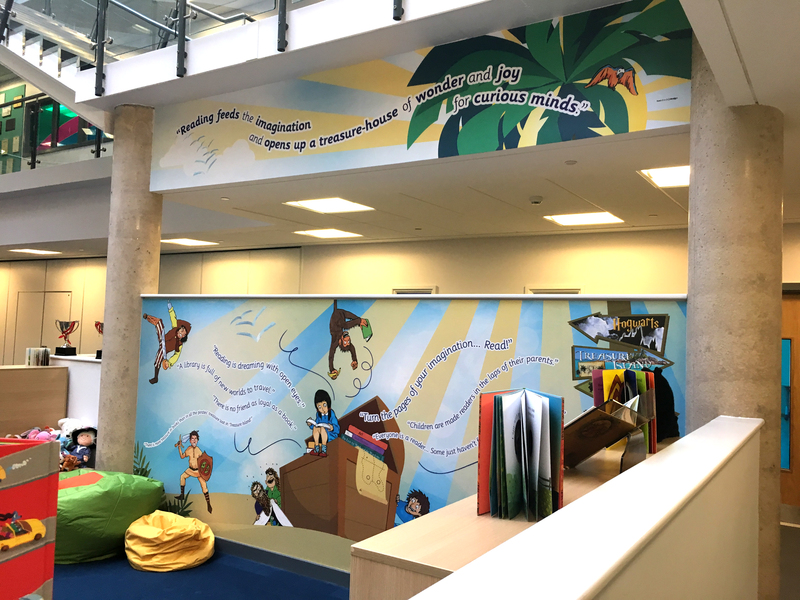 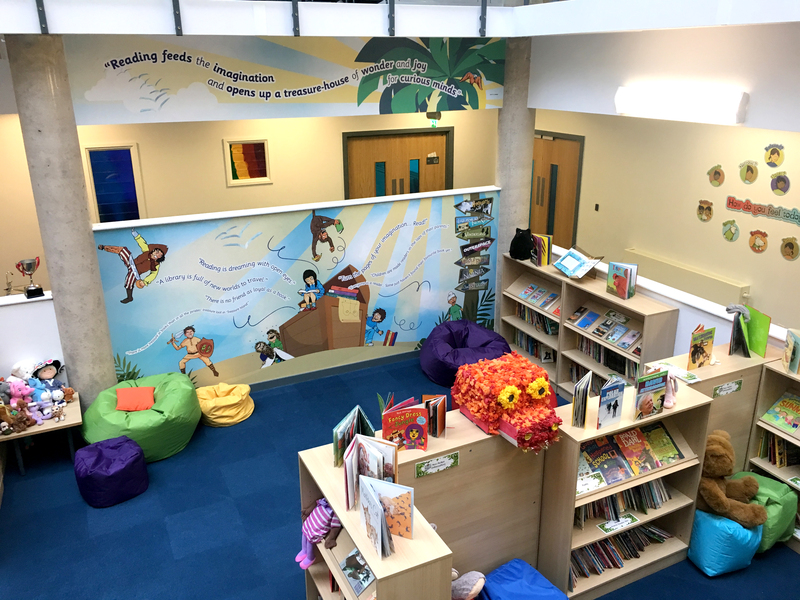 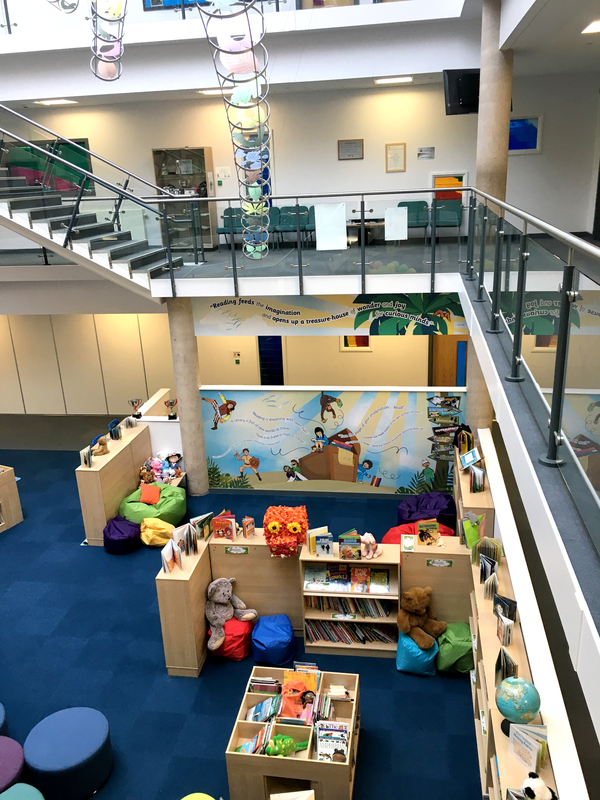 We used inspirational reading quotes, a Treasure Island scene with our Book Signposts and our illustrated characters from classic books to create a backdrop to the school library. 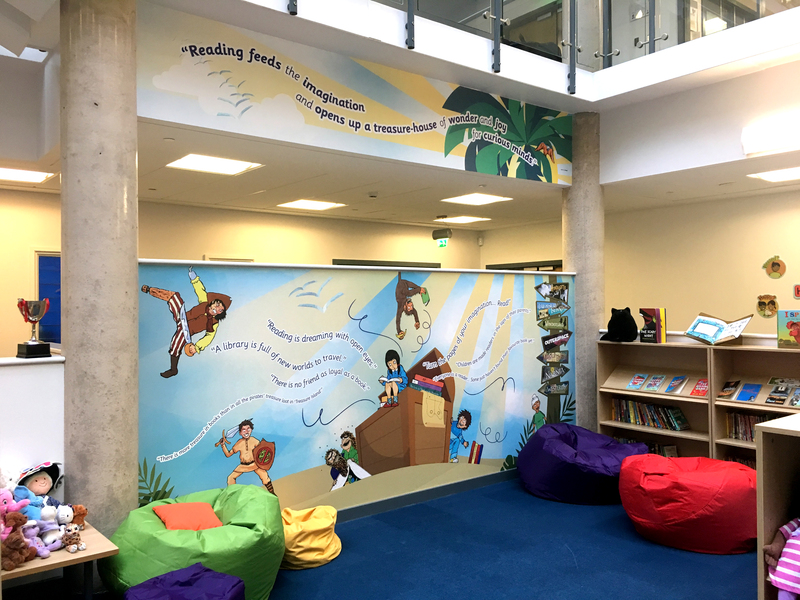 The end result: The partition wall of the library was covered in hardwearing vinyl wallpaper.